RCMP roadblock lifted, allowing supporters and media access to Unist’ot’en camp. According to CBC News, RCMP have opened their roadblock on a remote forest road in northern B.C., allowing access to a camp that has been the focal point of a First Nations protest against a natural gas pipeline. Wet’suwet’en Nation hereditary chiefs reached an agreement with the RCMP that includes opening the area that had been off limits to supporters and the media since Monday. Elders, supporters and media are now moving to the Unist’ot’en camp, where they will present further details of the agreement. RCMP are enforcing a court injunction granting workers with the Coastal GasLink natural gas pipeline project owned by TransCanada Corp access to a road and bridge from which they had been blocked by the Wet’suwet’en Nation. Update: The Unist’ot’en camp said Wednesday afternoon it is opening the gate to Coastal GasLink workers to comply with the court injunction. RCMP have confirmed they arrested 14 people at the Gitdumt’en checkpoint. On Monday the RCMP announced they were going to enforce a court injunction to allow Coastal GasLink access to the road and bridge near Houston, B.C. 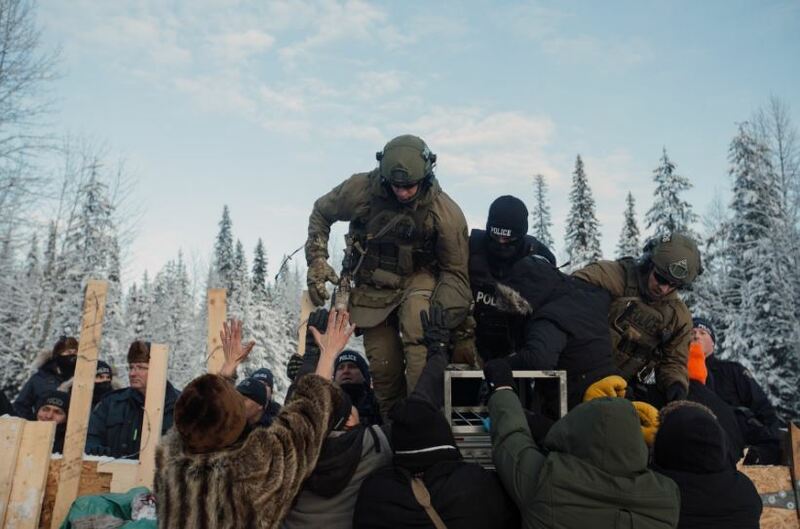 The RCMP followed through at approximately 2:51 p.m. when several members of the Tactical and Emergency Response Teams forcefully breached the Gitdumt’en camp’s checkpoint. When police went over top of the barricade there was a scuffle between the advancing RCMP and the first line of Gitdumt’en clan members. 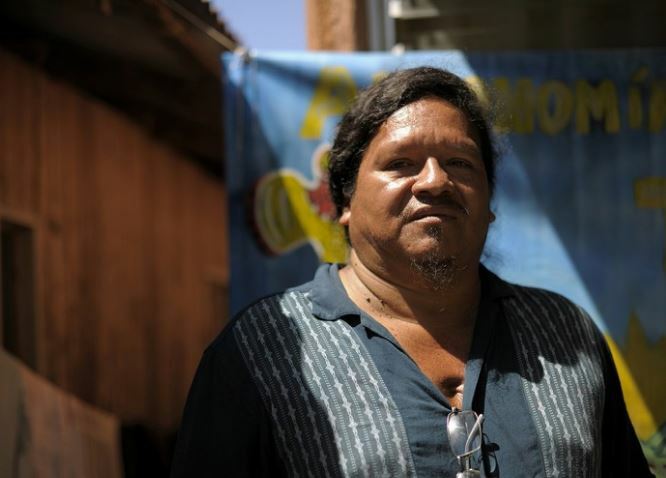 Journalists say the land defenders who were protecting their territory were not armed. Coastal GasLink, a subsidiary of TransCanada Pipelines Ltd., filed for an injunction against Unist’ot’en Camp last month. According to Vice News, the barricade was built by organizers from the Gitdumt’en clan, one of five Wet’suwet’en clans, with the goal of protecting the Unist’ot’en camp from being raided, further up the road. The Unist’ot’en camp established in 2010 was set up by members of the Wet’suwet’en Nation with support of Hereditary chiefs to prevent Coast GasLink workers from gaining access. 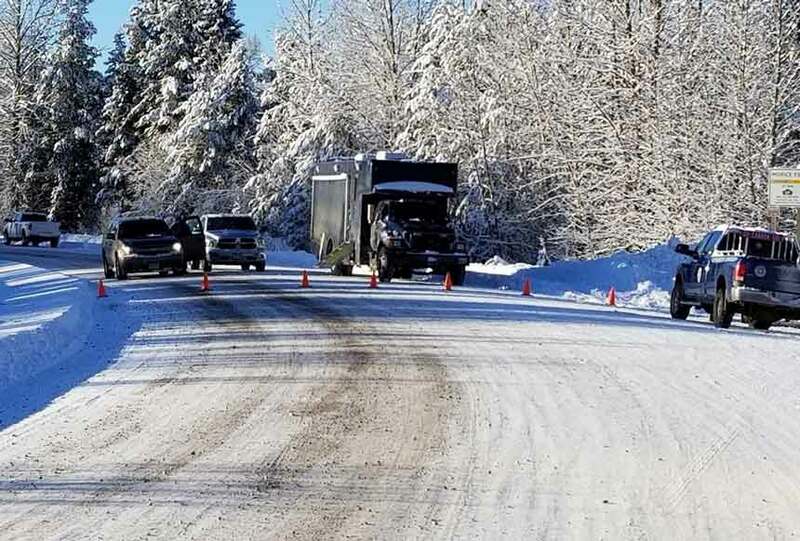 Monday’s arrests took place at the Gitdumt’en checkpoint on Morice West Forest Service Road for various offences, including alleged violations of an injunction order against the blockade, reports the National Observer. Fourteen land defenders, including Molly Wickam, a spokesperson for the camp, were taken into police custody and the blockade dismantled. RCMP say they entered the blockade, after a meeting with a number of hereditary chiefs and Coast GasLink failed to resolve the issue without police involvement. Unist’ot’en camp now awaits an RCMP raid after the injunction was enforced at the Gitdumt’en checkpoint. In a statement, RCMP addressed what police called “erroneous” reports that RCMP jammed communications in the area, and that the military was present during the police enforcement operation. A news release issued Sunday on behalf of Grand Chief Stewart Phillip of the Union of B.C. Indian Chiefs says all five Wet’suwet’en clans, including the Gitdumt’en, oppose the construction of oil and gas pipelines in their territory. An elder arrested on Monday has already been released. The remainder of the arrestees were taken to Prince George to stand before a Justice of the Peace. Almost two years after the fatal shooting of Colten Boushie his family has filed lawsuits against Gerald Stanley and the RCMP seeking total damages of more than $1.86 million. The Star Phoenix reports, Boushie’s mother, Debbie Baptiste, and two of Boushie’s brothers are named as plaintiffs in the lawsuit against the RCMP. Baptiste is the lone plaintiff in the lawsuit against Stanley. Boushie, 22, was shot and killed on Aug. 9, 2016 while sitting in the driver’s seat of an SUV that was driven onto Stanley’s farm near Biggar, Sask. 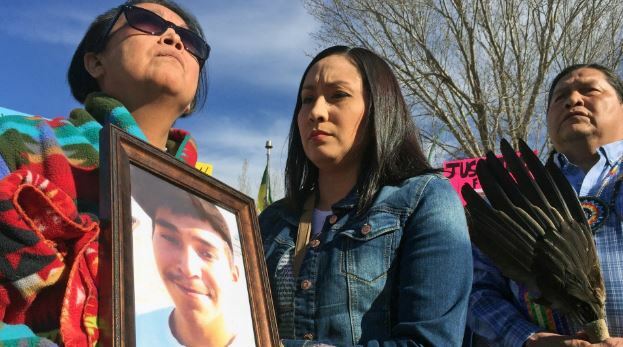 In February, Stanley was found not guilty of second-degree murder in the death of Boushie. In the suit, the family claims Stanley failed to assess or monitor the risk of the situation and failed to contact police to deal with any potential risk. In the lawsuit, the family claims Stanley then used “excessive force when it was uncalled for,” shot Boushie at “point blank range” in the back of his head when he wasn’t a threat and did not administer or call for any medical assistance. It also says that Stanley’s wife, Leesa, is a registered nurse and didn’t take any action to provide life-saving measures. A separate court filing by the family is also calling for $1.45 million in damages to be paid by members of the RCMP. The lawsuit lists seven RCMP officers as defendants, along with the Attorney General of Canada, and alleges they conducted an “unlawful search” of Baptiste’s home the night of Boushie’s shooting. None of the claims made in the lawsuit have been proven in a court of law. The defendants have 30 days to respond. “We are fully cooperating with the Civilian Review and Complaints Commission for the Royal Canadian Mounted Police (CRCC). The CRCC is investigating the death of Mr. Boushie and the events that followed, including the next of kin notification, the search of the family residence, and the dissemination of media releases. The RCMP’s handling of an initial complaint filed by a family member is also under review by the CRCC,” the statement reads. RCMP said they had no further comment on the lawsuit, since it was before the courts. RCMP say the women, along with another who has not yet been arrested, posted hateful comments online after some vehicles were vandalized. 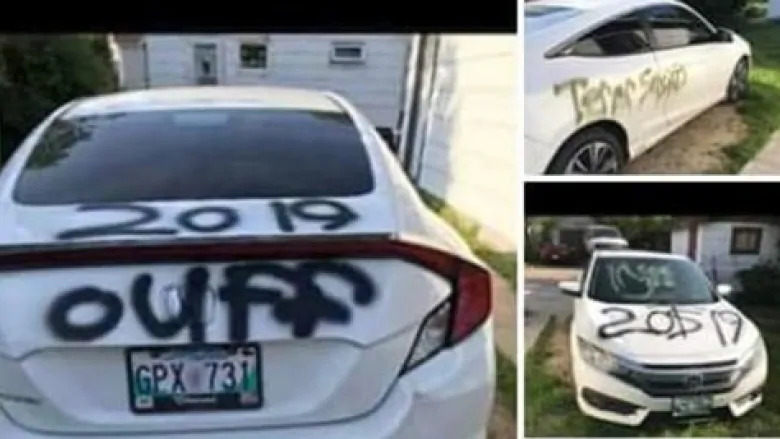 A Manitoba woman, Destine Spiller ranted on a Flin Flon Facebook page, blaming the local First Nations community for damage to her car after it was spray-painted with large, black lettering on all sides. 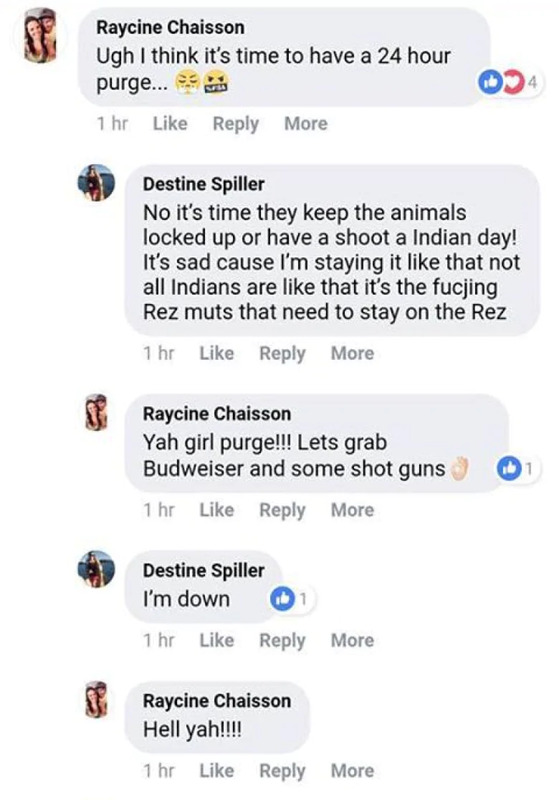 Spiller’s post escalated into racist and threatening language against First Nations people. A second woman agreed with her, and suggested getting a shotgun and alcohol. According to CTV News, RCMP haven’t released the names of the women but said a 25-year-old from Denare Beach, Sask and a 32-year-old from Flin Flon, are facing charges of uttering threats and public incitement of hatred. The same charges are pending against a third person. All three suspects are cooperating with police. Urban Trendz Hair Studio, a salon in Flin Flon, posted on Facebook that it had let go of an employee following the social media posts. The other woman’s Facebook account stated she worked in Flin Flon as a mentor and as a substitute teacher in Creighton, Sask. The first woman apologized the next day, saying she was angry and upset about her vehicle being tagged. However, several people had already called RCMP about the women’s comments. Both women have since deleted their Facebook accounts. The Federation of Sovereign Indigenous Nations (FSIN) is applauding RCMP actions in investigating and arresting the two women. A 56-year-old man is facing charges in connection with the hit-and-run death of Brady Francis from Elsipogtog First Nation. According to media reports Maurice Johnson of Saint-Charles, N.B., has been charged with failing to stop at the scene of an accident involving bodily harm or death. 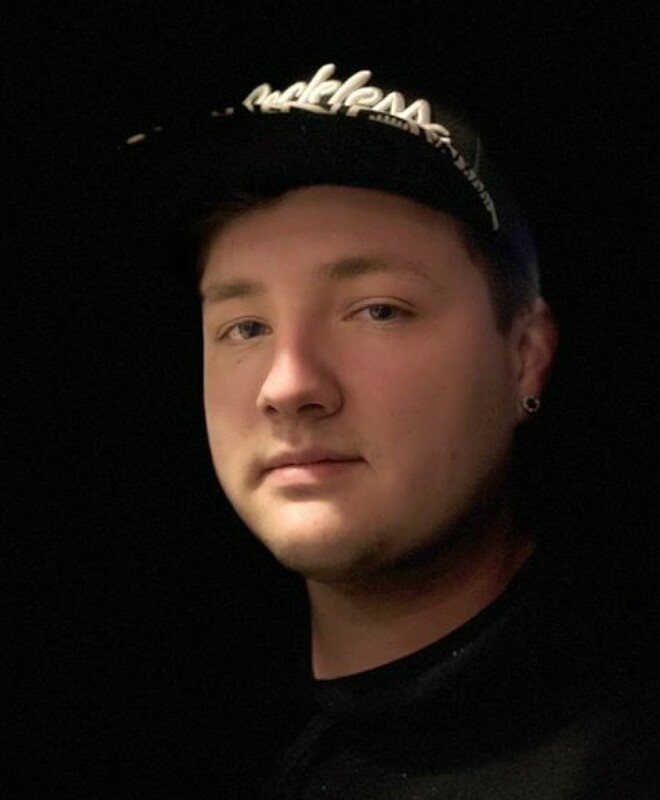 Francis a well-liked 22-year-old was hit by a pickup truck on Feb. 24 as he departed a party in Saint-Charles, N.B., a predominantly francophone town about 12 kilometres south of the Elsipogtog reserve. RCMP say it’s believed the Mi’kmaq youth was waiting for a drive home when he was struck. Johnson is scheduled to appear in Moncton Provincial Court on July 10, 2018 to enter a plea. Following Francis’s death, rallies and vigils were organized across the province, and people pleaded for the driver who hit Brady to come forward and confess. Social media posts were circulating following the incident with pictures of Colten Boushie and Tina Fontaine and Francis side by side, and many were tweeting #justiceforbrady, echoing hashtags used after the recent Prairie verdicts. 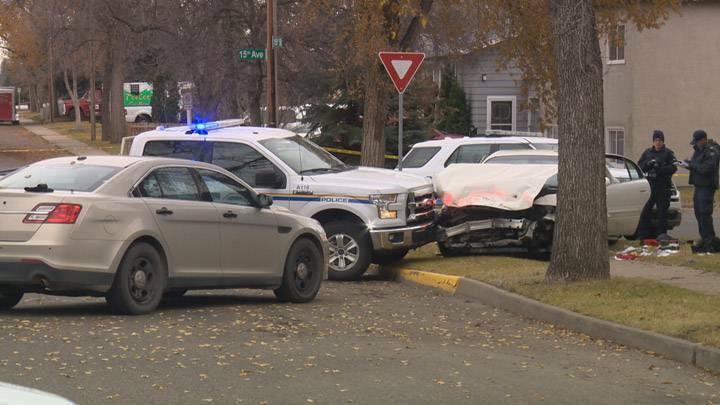 Earlier this year, RCMP completed an investigation into the hit-and-run and handed the file over to Crown prosecutors to review possible charges. 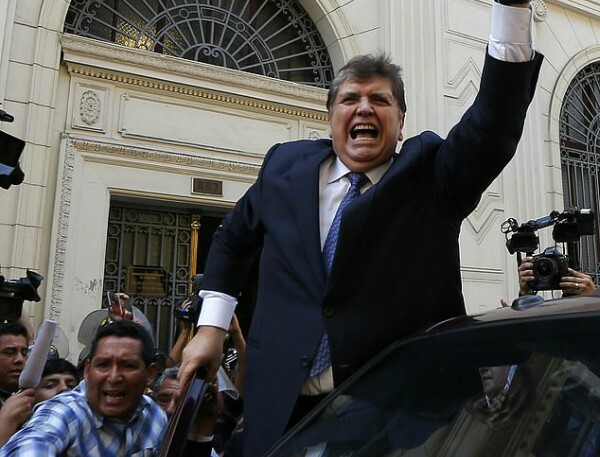 This is the first charge laid in the case — four months after Francis was struck. The news was welcomed with relief in the community. 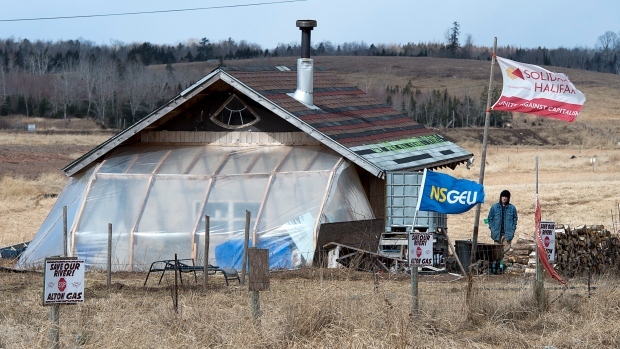 “We’re extremely happy,” said Ruth Levi, a band councillor and director of social services at the Elsipogtog reserve. Police say Johnson is the same person that was arrested and released without charges back in March. It was also his truck that was seized as part of the RCMP investigation. 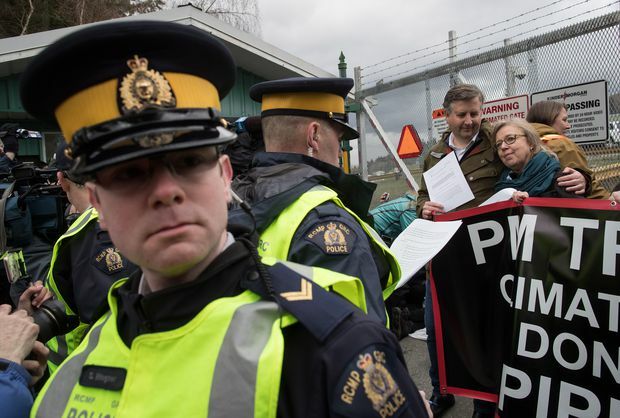 An RCMP officer reads a court order to Federal Green Party Leader Elizabeth May, right, and NDP MP Kennedy Stewart, second from right, before they were arrested after joining protesters outside Kinder Morgan’s facility in Burnaby, B.C., on March 23, 2018. Ironically, British Columbia’s NDP government has been sharply opposed to the expansion of the pipeline – a policy that has pitted them against the NDP government in Alberta, which is a proponent for the project. Mr. Corrigan’s stand comes amidst increasing protests over the project. According to the Burnaby RCMP, 54 demonstrators against the project were arrested on Saturday for breaching a court-ordered injunction that prohibits protesters from coming within five metres of a pair of terminals in Burnaby operated by project proponent Kinder Morgan. Last Friday, federal Green Party Leader Elizabeth May and NDP MP Kennedy Stewart were arrested in protests. The Trans Mountain expansion project, which has been approved by the federal government, will triple the capacity of the pipeline to about 900,000 barrels from 300,000. In recent weeks, one protest drew more than 5,000 people – and a police presence to manage the gathering. Mr. Corrigan said the Mounties have told him they may take the matter to dispute resolution. While he said he has no details on that process, an RCMP spokesperson in B.C. pointed out there are provisions for working through disputes in the service agreement on municipal policing in B.C. The mayor also said he is skeptical about RCMP assurances that dealing with the protests won’t distract from routine policing needs in Burnaby. In a series of e-mail responses to Globe and Mail questions on the issue, a spokesperson for the RCMP E-Division covering B.C. said the force is dealing with protests now and looking to eventually deal with costs. “The RCMP goal for any demonstrations is to ensure that they take place in a peaceful, lawful and safe manner. We will deploy the resources necessary to accomplish this,” Sergeant Janelle Shoihet said in an e-mail. Sgt. Shoihet said the Burnaby RCMP don’t have contingency funds for their responsibilities but, rather, respond to calls for service and rolls salaries, expenses and other costs into an annual policing budget for the detachment. Mr. Corrigan said the protests against Trans Mountain are going to get worse. 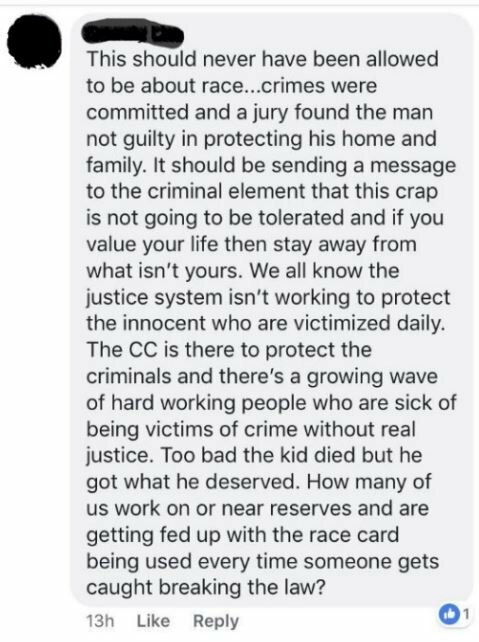 According to APTN News an RCMP officer on the Prairies posted the message, which said the shooting of the 22-year-old Indigenous man on a Saskatchewan farm should never have been about race. Boushie, from the Red Pheasant First Nation, was shot and killed in 2016. 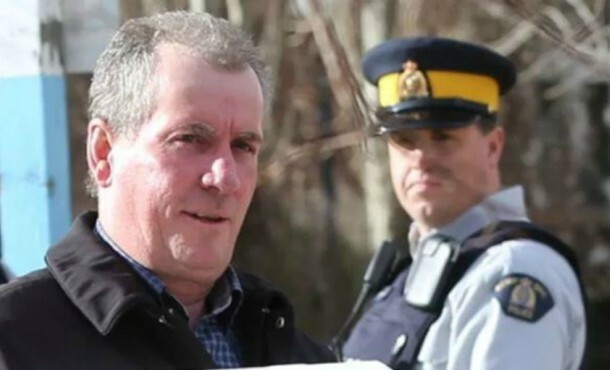 Gerald Stanley, 56, was acquitted of second-degree murder in a verdict last week by an all-white jury, spurring protests across the country in what many believe was a racially motivated decision. The female officer who made the post claims to police a First Nations community. The RCMP told the Star that there are no officers with the name linked to the Facebook account, and didn’t confirm whether the woman worked as an officer under another name. “Too bad the kid died but he got what he deserved. How many of us work on or near reserves and are getting fed up with the race card being used every time someone gets caught breaking the law?,” she said. The comment was posted in a Facebook group called “News Stories that Matter to or May Impact RCMP,” and has since been deleted. APTN did not disclose the person’s identity, but said two sources shared screenshots of the posting and revealed who the officer is. “Obviously, this remark is absolutely appalling and unacceptable,” Public Safety Minister Ralph Goodale said in a teleconference with journalists Thursday. The RCMP’s statement in response to the story said on- and off-duty members must behave in accordance with the force’s code of conduct and that a member’s use of the internet for social networking is subject to the same standards. 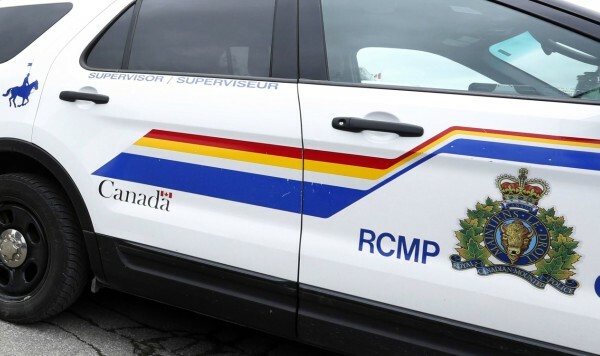 “The RCMP is once again reminding people that they can and will be held responsible for their communications, both in-person and on-line, and police will investigate any complaints of suspected criminal behaviour,” it said. In what is being described as a first for the RCMP, the Mounties in Nova Scotia are now offering victims, witnesses and police officers the option to swear legal oaths on an eagle feather, instead of using a Bible or offering an affirmation. 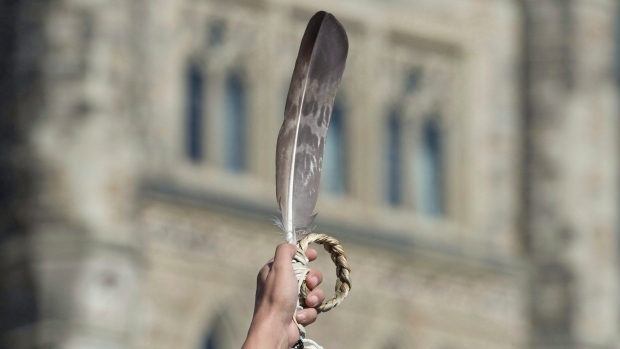 The RCMP say the eagle feather will be used in the same way as a Bible or affirmation, and may also be offered as a source of comfort at local detachments. A special smudging ceremony was held Monday at Nova Scotia RCMP Headquarters, where the province’s lieutenant governor, Arthur LeBlanc, was joined by provincial Justice Minister Mark Furey and Chief Leroy Denny, on behalf of the Assembly of First Nations. As part of the ceremony, Indigenous elder Jane Abram of Millbrook First Nations cleansed eagle feathers through a smudging ceremony, and Keptin Donald Julien, executive director of the Confederacy of Mainland Mi’kmaq, offered a blessing. LeBlanc said the use of eagle feathers marks a significant step toward reconciliation with Indigenous Peoples. As the ceremony concluded, eagle feathers were distributed to detachment commanders throughout the province. The brother of an Indigenous man shot and killed by RCMP during a police chase in North Battleford claims officers were pursuing the wrong car. “The story of him being a suspect, of chasing a guy, is wrong. It just so happens he was in a white, four-door car in the wrong place at the wrong time,” Landin Blanko told CTV News on Monday. 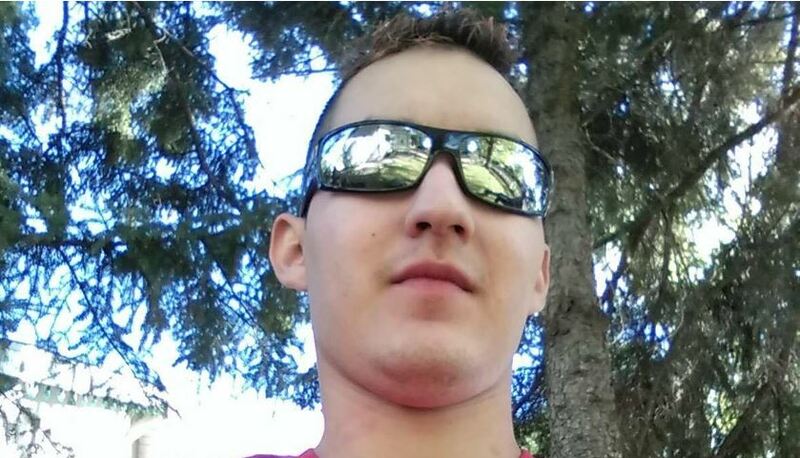 Brydon Whitstone, 22, of the Onion Lake Cree Nation, died after being shot by RCMP on Saturday. 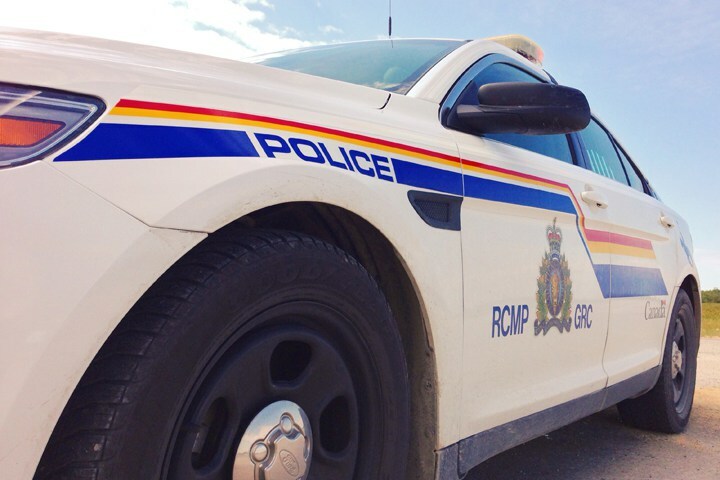 RCMP reported receiving a call from a man, saying he had been chased and shot at from a vehicle. Officers located the suspect vehicle and initiated a brief pursuit. The chase ended shortly after Whitmore allegedly rammed a police cruiser. In response to the driver’s actions following the pursuit, a RCMP member discharged their firearm. Whitstone, died as a result of his injuries en route to hospital. The car his brother was driving was mistaken for the suspect car, according to Blanko. He believes his brother may have panicked when police began pursuing the vehicle. Following the claim made by Blanko to CTV News, the RCMP have not yet responded when asked for a comment by Red Power Media. Amanda Wahobin, 28, who was a passenger in the car driven by Whitstone, has been charged with possession of property obtained by crime. She is also charged with robbery and breach of a conditional sentence order. RCMP say these charges are not related to Saturday’s events. The Regina Police Service will conduct an independent investigation into the RCMP shooting of Whitstone. An Indigenous man is dead after he was shot by RCMP in North Battleford, Sask. Police said the incident unfolded just before 9 p.m. 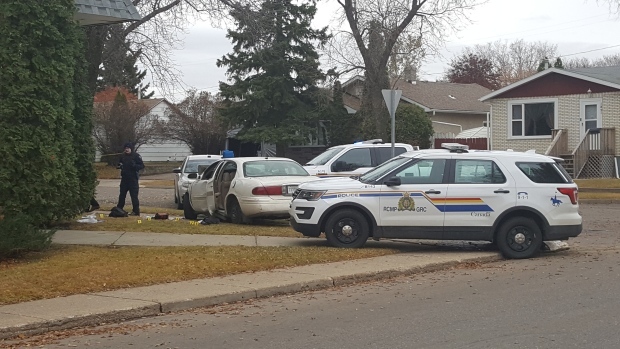 According to CBC News, RCMP reported receiving a call from a man, saying he had been chased and shot at from a vehicle. “Members located the suspect vehicle and initiated a brief pursuit,” RCMP Chief Supt. Maureen Levy, criminal operations officer for Saskatchewan, told media in Regina on Sunday. The chase ended shortly after Whitmore allegedly rammed a police cruiser. The Regina Police Service will conduct an independent investigation. 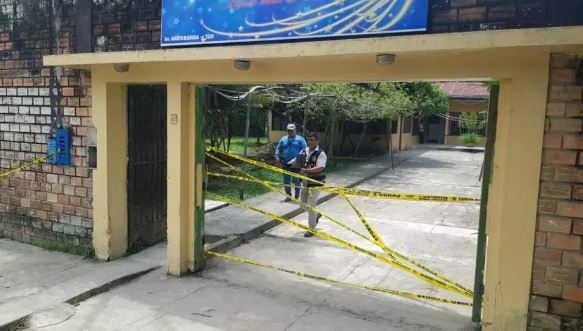 Bobby Cameron, chief of the Federation of Sovereign Indigenous Nations (FSIN), spoke on the Brent Loucks Show on 650 CKOM Monday morning in response to the shooting. He said he’d been getting calls and messages throughout the weekend, with many questioning the details around the RCMP shooting. Cameron said the situation furthers the mistrust First Nations people have about the justice system, and noted that there is also a lack of trust in the independent investigation. He said he was concerned police may have been too quick to use lethal force.